As Rory lay dying after the battle of Cedar Creek in the Shenandoah Valley, Captain Josh Logan gave his word to his best friend, Lieutenant Rory Nance. Now, two years later, deep in the Comancheria, Josh Logan rides to fulfill his dying friend’s request. As he rides through the rolling, West Texas hills, blood-thirsty Comanches could wait in the next ravine or around the next hill. Yet, he is determined to fulfill his promise. His message delivered, he must make a decision that could cost him his life. 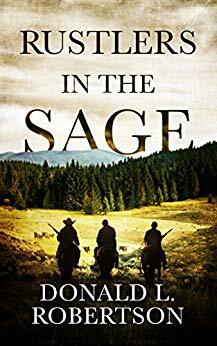 Will Josh stay and help Rory’s father save his ranch from sharp-shooters, murderers, and land-grabbers, or continue to Colorado to join his brother Callum before the snow flies? 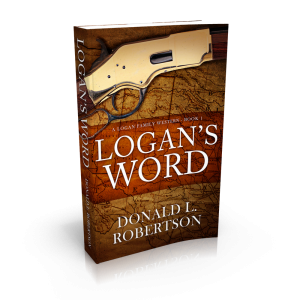 Logan’s Word, Logan Family Western Series Book One, is a fast-paced, action-packed Western in the tradition of the great Western writer, Louis L’Amour. Hit number 1 for sales in its catagory! Chuck Nielson hung up his six shooter and retired from the Texas Rangers ten years ago, at one time the fastest draw west of the Mississippi. He loves two things, his wife and his ranch. Now the Sunset Kid is in town. He’s killed seven men—all seven died with the sun in their eyes. Chuck is number eight and the Kid has sent word for him to be in the town street at sunset. If Chuck meets the Kid, he risks everything; if he stays home he loses his self-respect, and the Kid goes on killing. A classic Western tale of good versus evil, set in the hostile environs of 1873 Texas. In this compelling story of Clay Barlow, he returns home to find his family murdered in most a heinous way. Up until this moment his life has been that of any seventeen year old growing up on a ranch in the old west. Now, his life is changed forever. Upon finding the remains of his parents, Clay swears to avenge them and bring the killers to justice. Though the odds are against him, he saddles Blue and rides to his destiny. 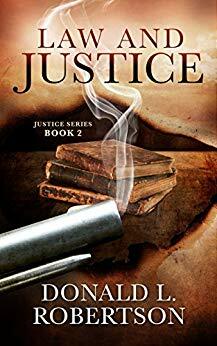 Ride with Clay as he goes against almost insurmountable odds in his pursuit of justice. Will he succeed in his quest, or will he join his parents? 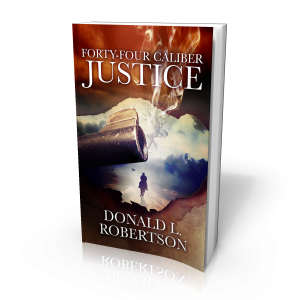 Forty-Four Caliber Justice is a fast-paced, guns-blazing, white-knuckle Western you will find impossible to put down. All he wanted was a ranch. Nolan Parker rides into Mustang City looking for grazing land of his own. With money in his pocket, he’s in town to buy a ranch, then a white mutt leaps into his life and demands protection. Nolan finds himself embroiled in the beginnings of a range war, battling the hired gunmen of a ruthless rancher. Now, he must make a decision. Stay and fight, or cut and run. 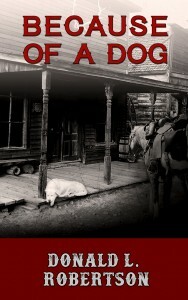 Because of a Dog, is a drama of honor, love, death, and a big white dog—a stirring tale of the old west that will keep you engrossed to the very end. Bullets rip the air, snapping past Clay Barlow’s head as, riding Blue, he charges the band of robbers surrounding the Austin stagecoach. Clay lets loose with a load of buckshot from his 12-gauge Roper Repeating Shotgun. With his third blast, the robbers turn tail and race off into the Texas hill country, leaving one of their own dying in the hot Texas dust. At eighteen, Clay has been invited to join the Texas Rangers. Now, he rides to Austin to either put on the Rangers’ badge, or fight for the law in Texas courts, fulfilling his parents wish that he becomes an attorney. Whether he protects Texas on the range or in the courtroom, his quick and deadly six-guns will not be stilled. Join Clay as his path takes him from brawls to blizzards to gunfights. The only question remaining, will he survive to choose between Law and Justice? Callum Logan is a man of quick decision and execution. His fast gun has saved him on more than one occasion. Though hardened by the horrors of the Civil War, he gives each man a chance, unless they prove it’s undeserved. 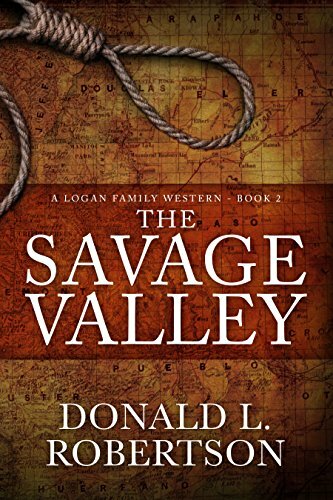 Now, on his way to begin a new life in the Colorado West, he’s eager to put the killing behind him. But while rescuing a family from despicable outlaws, he is forced to kill the leader of the small band, putting himself in direct conflict with the outlaw’s brother, Elwood Wister, whose gang has become the scourge of Southwest Colorado. Can Callum’s quick thinking and determination help him survive his greatest challenge yet? Is he ready for another battle? Will Wister succeed in executing his brutal plan to take revenge? Accompany Callum Logan as he embarks on the journey to build a new life, for himself and his family. Experience the savagery and danger that may lurk around every bend, in the shadows of the majestic Sangre de Cristos. Holt Kincannon has nothing left but his horse, his guns, and his pride. 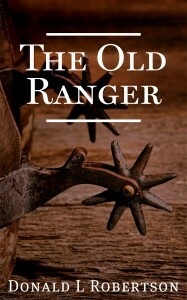 His years as a Texas rancher and lawman are behind him. His wife and son rest on a lonely hill overlooking the Llano River. Now, he rides through the rugged mountains and sagebrush covered valleys of Northern New Mexico, searching. He’s hoping for a new life, but will settle for a hot meal.